Death Cab for Cutie are an 8x Grammy® Award-nominated American alternative rock band, formed in Bellingham, Washington in 1997. 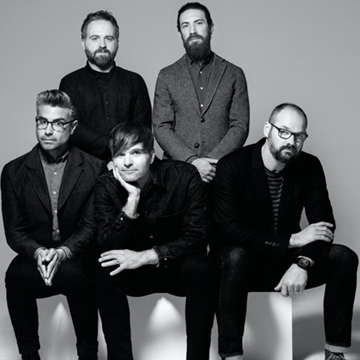 The band is composed of Ben Gibbard, Nick Harmer, Dave Depper, Zac Rae, and Jason McGerr. Atlantic Records’ Death Cab for Cutie has officially announced the release of their upcoming ninth studio album. “Thank You for Today” arrives everywhere this August.